Telenor introduces one more time fantastic service for all its valued customers of Pakistan. This time it has introduced Telenor Facebook Alert Service for doing multiple things of Facebook through mobile-phone without any Telenor internet package. 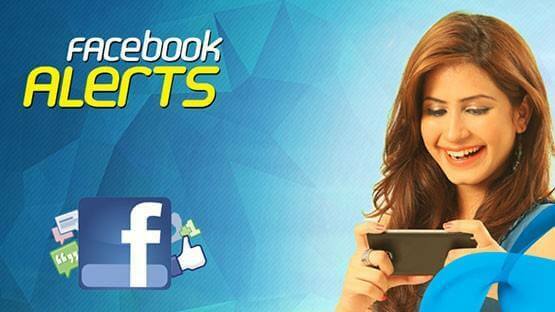 Now it is possible for Telenor subscribers for doing multiple Facebook activity through his/her cellular phone. Facebook trend is getting very popular day by day all across in Pakistan and there are many cellular operators really like for using this social media website on regular basis. This network is providing platform for using Facebook without any internet package you can easily add friends, send message friends and many other things through SMS. The details of procedure for using Facebook through SMS are mentioned as below. Step 1: Users just need to go on setting option in his/her mobile phone and then go to the mobile tab. Step 2: Click on Register for Facebook SMS Texts. Step 3: Follow the instruction. Yours Telenor Facebook Alert service will be registered through following these steps. Users can set Facebook status very simply just needs to type message “Status” for example “Happy New Year” and send into 32665. Users can subscribe friend status for receiving update just needs to type SMS “subscribe friend Facebook correct name” and send into 32665. It is really simple task, subscribers can add friends on Facebook through message just need to type message “add friend full correct name” and send into 32665. Users can get friend information from Facebook very easily through message just need to write SMS “Find friend correct name” and send into 32665”. Users just need to type SMS for sending message to a friend on Facebook “wall Hello.How are you?“and send into 32665. Subscribers also has an option for poking of his/her friends through SMS just need to type message “Poke Friend Name“ and send into 32665. Customers also get complete list of commands through SMS just need to type message “help“ then send into 32665. The charges for getting setting of Facebook Alerts are RS 1.00 plus tax. The charges for sending SMS are RS 1.00 per SMS. Customers can DE-activate this feature via message just need to write SMS “OFF” and send into 32665. This service is available all valued customers of this telecommunication. This network has authority for changing incentives and charges of this offer at any time without being informed of its users. It only provides service for using Facebook social website. You may also like it:Telenor Facebook Flex.